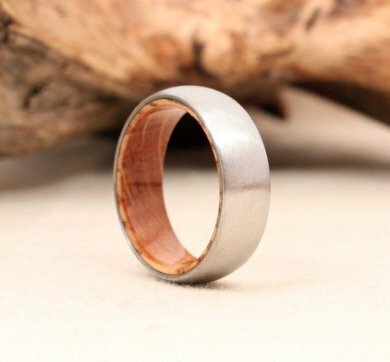 For couples searching for unique, eco-friendly rings, wooden rings can be the best option. 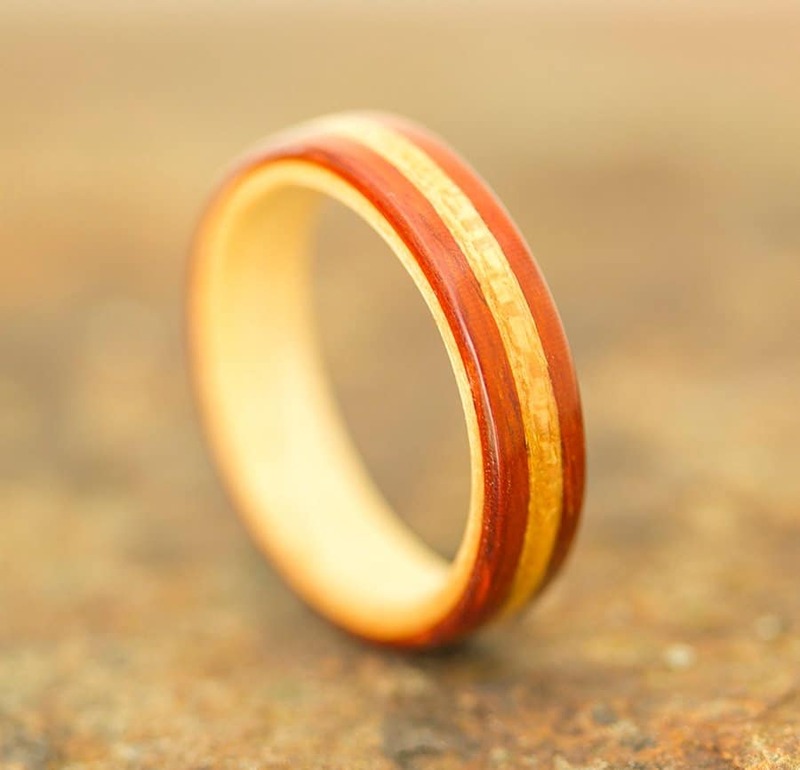 Whether it’s rings made entirely of wood or another metal with a wood inlay, these are some wooden wedding rings pros and cons for choosing your wedding bands. 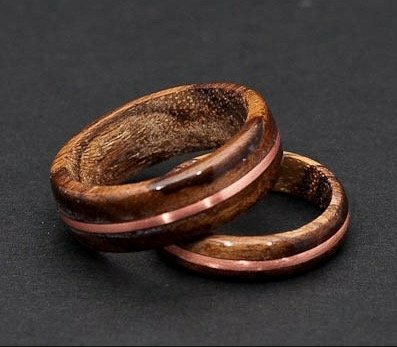 It might be hard to believe when looking at the beauty of a wooden ring, but they are incredibly affordable wedding rings for anyone who is on a budget. Some people don’t want to spend thousands of dollars on a ring, but still want a symbol of their love for each other. 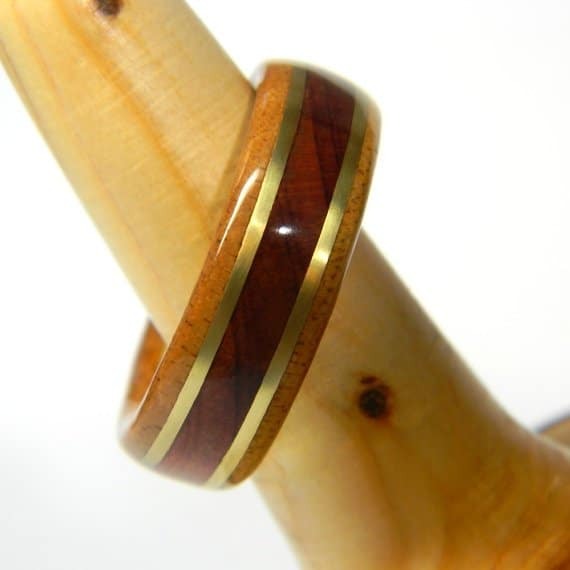 Wooden rings are a great option. 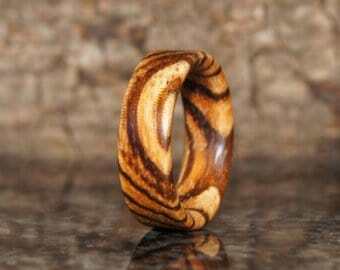 Some rings are made from salvaged wood or wood that comes from a sustainable source. 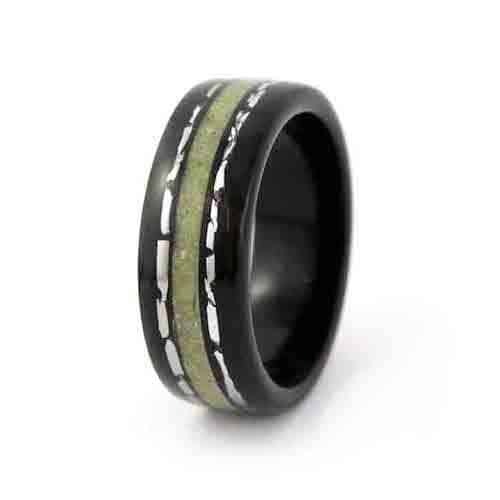 This makes them more eco-friendly than other ring options, which is important for the environment. 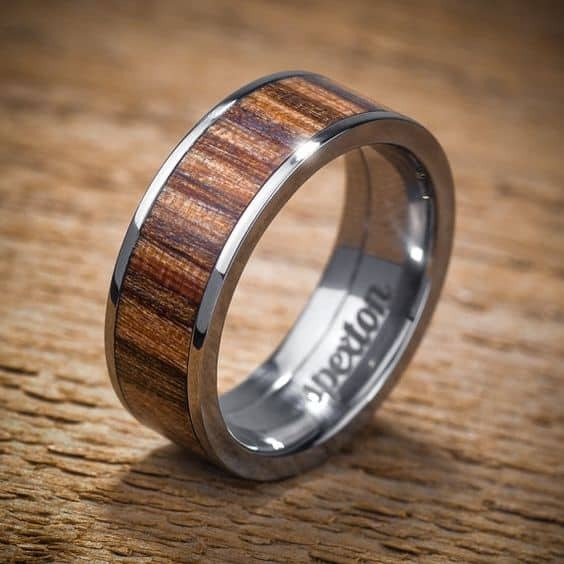 If you want an ethically-sourced ring, you’ll want to choose a wedding band made from wood. 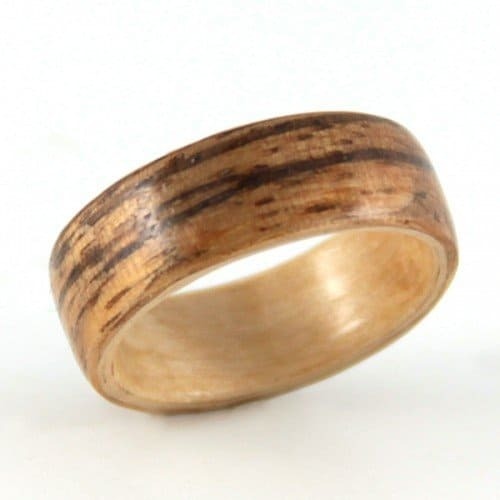 With a wooden ring, you’re able to get a unique piece of jewelry that is truly your own. Instead of choosing a ring made of common materials, you’re choosing a wooden ring that is like no other. It’ll have a subtle wood pattern on it that is unlike other patterns. The unique design could include other materials like metal inlays or ceramic colors too. Wooden rings are a good choice for someone who has a metal allergy. Often, a person with an allergy assumes they’ll never be able to wear a ring without having an adverse reaction. With a wooden ring, a person with allergies to metals will never have to worry about the ring turning their finger green or causing a rash. While a bright, white diamond might get a few glances and some awe-inspired noises, a wooden wedding ring will also get admiration. It’s a conversation piece while not being overly extravagant. People will wonder where you got it, what the story is behind the ring, and whether your spouse has the same ring. Electricians as well as people who work with heat have to worry about their metal rings conducting electricity or becoming hot enough to burn. That’s never a concern with a wooden wedding ring. This means that your love will never have to remove his or her ring because of hazardous work conditions. Like the Tree of Life, wood is a symbol of the interconnectedness of our lives. Between the branches towards the sky and into the Earth through its roots, a tree and its wood are a connection that is extended to the wooden wedding ring. 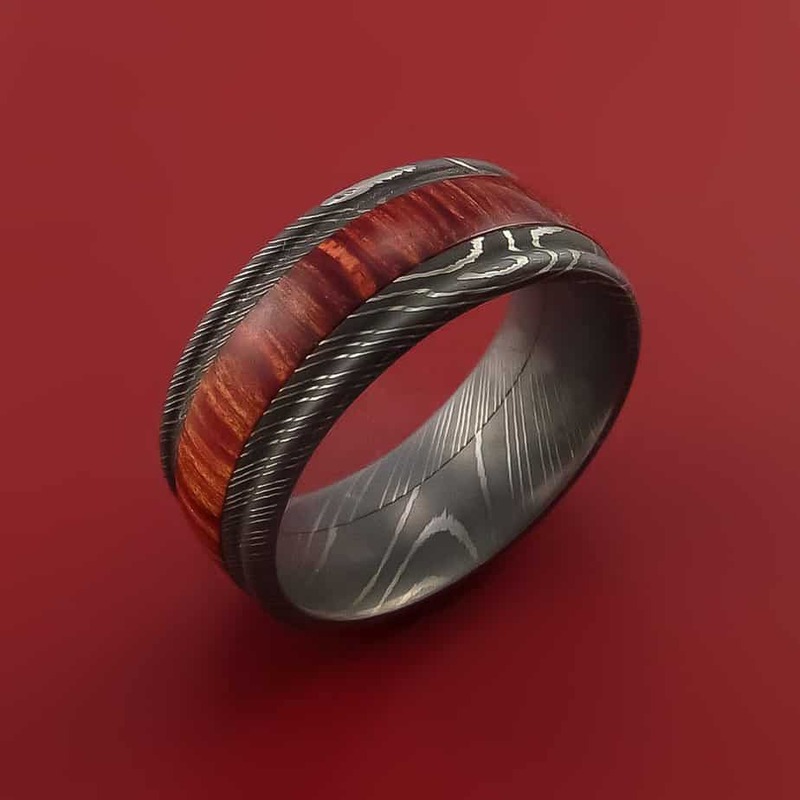 When adding an engraving on the interior of the ring, you can imagine its been carved into the wood of a tree like it would have been when you were a teenager. 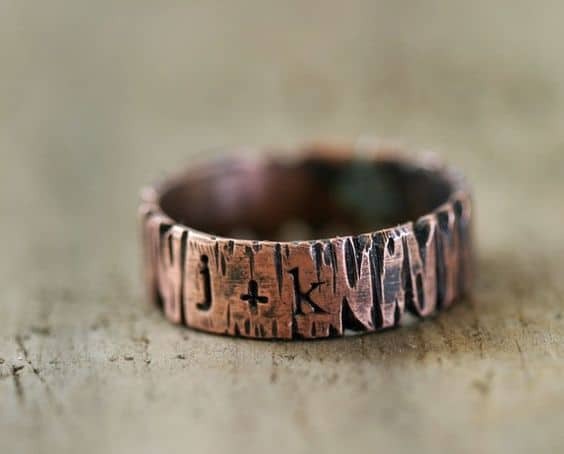 When people want to see your ring, you can show them the adorable carving of initials on the interior like you’re in a romantic comedy movie. Unfortunately, there are times when you’re doing to have to remove your wedding ring. With the ring being made of wood, you’ll have to make sure it doesn’t soak in water like in the shower or when you’re cleaning. 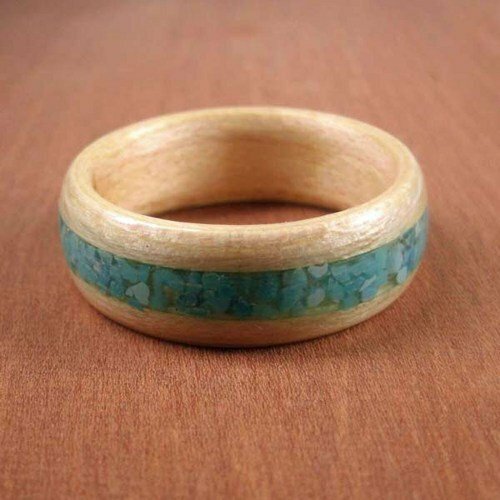 Like some other special materials, wooden rings cannot be resized. They’re incredibly affordable, though. You may decide to get a ring guard if you lose weight in your fingers, or you could replace the entire ring with a smaller size. If the ring will be subjected to chemicals or abrasives, you should remove it completely. You can wash your hands while wearing it, but not subject it to chemicals. The ring will need to have a finish reapplied occasionally to keep the ring in terrific condition. 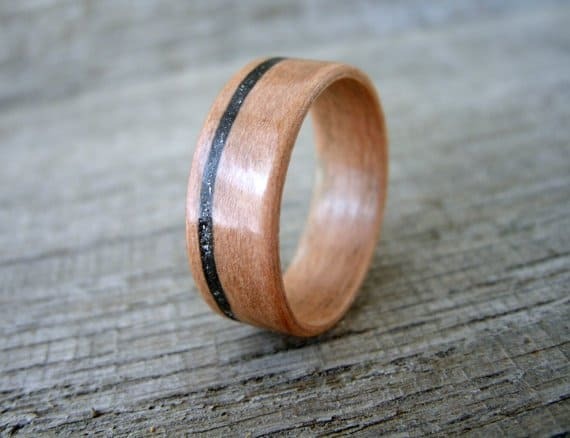 A handmade ring can take up to two months to create, so if you’re set on a handmade wooden wedding ring, you’ll have to ensure that there’s enough time for it to arrive. If not, you could be sorely disappointed to not have your ring at the wedding itself. 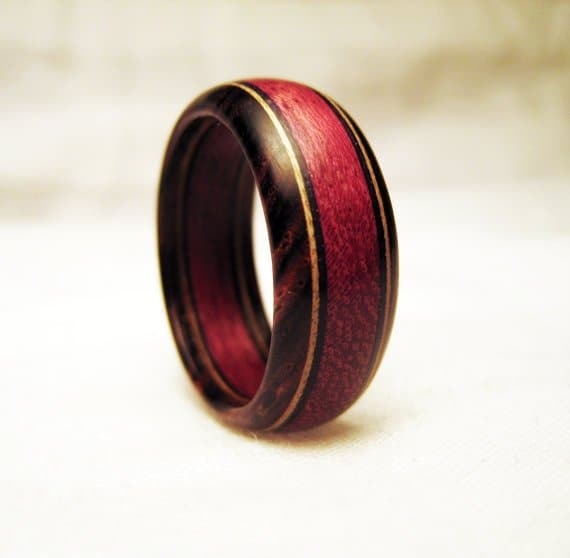 People choose wooden wedding rings for a variety of reasons. They are often searching for a memorable wedding band that will truly tell the story of their relationship. While the cold hardness of other metals might not tell the story, the rich, warm color of wood can be perfect.